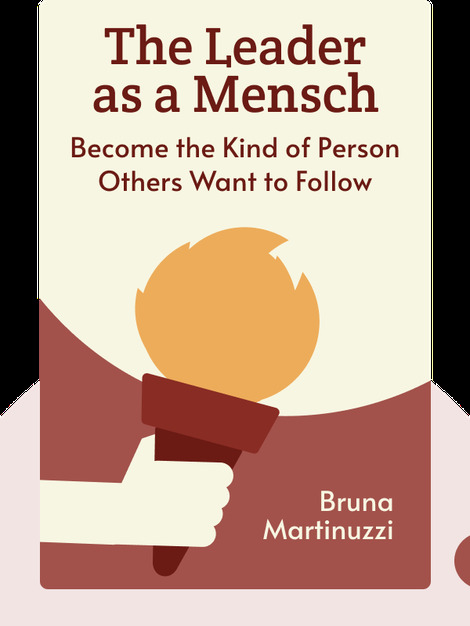 The Leader as a Mensch (2009) is a guide to becoming a great leader. Learn the importance of caring for those you lead, and how reflecting on yourself will bring you closer than ever to becoming the best leader you can be. 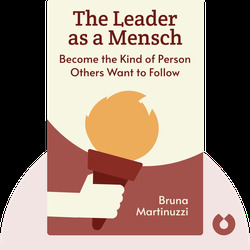 Bruna Martinuzzi is the author of Presenting with Credibility: Practical Tools and Techniques for Effective Presentations, and a founder of Clarion Enterprises Ltd., an organization that, through coaching and trainings, has helped hundreds of individuals improve their leadership skills.